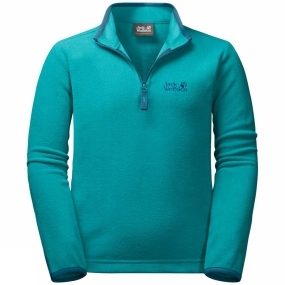 The Kids Gecko Pullover 14+ from Jack Wolfskin is the perfect pullover for outdoor weather conditions. It is so light and packable that it fits in a daypack. It is really comfortable to wear and so breathable that the little ones will feel great about it all day long.